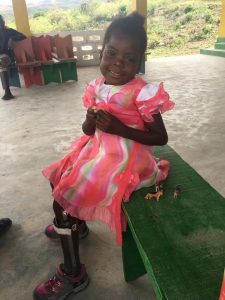 We first meet Loriette at age 2 after her mother reach out to us because her daughter was having trouble with her legs. 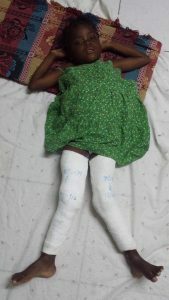 As she grew her legs became more deformed due to malnutrition. 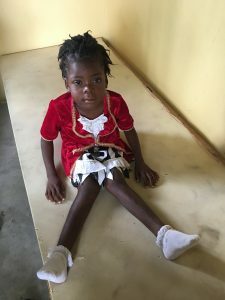 Community Rehab Project, with the help of contributions from people like you, have been able to provide little Loriette access to care her family could never afford. Even transportation, meals and lodging for these services are a monumental hurdle for Loriette’s family. 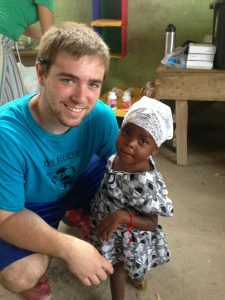 She lives in a very remote village in the mountains and needed to travel to Port-Au-Prince many hours away. She had never left her village before. “We gave them Peanut Butter and multivitamins as nutritional supplements. 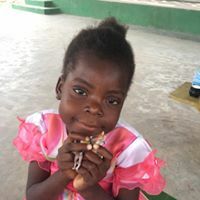 If we had more funding- I would love to give all of the children in her village multi-vitamins because there are so many people in this community that are malnourished. We probably met 12 kids at the beginning stages of this same condition” Dr. Ginger Oliver, PT, Executive Director of the Community Rehab Project. 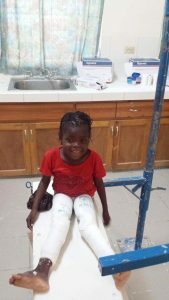 From medical evaluations to X-Rays, serial casting to eventually being fitted with custom braces…these gifts will change her life and never in a million years would have been possible without our help. THANK YOU to everyone who helped to Be Loriette’s change.